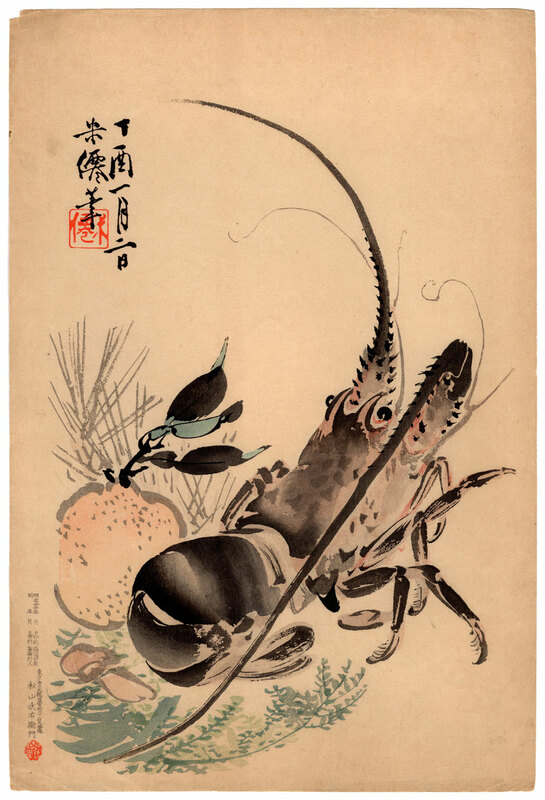 Polychrome woodblock print of vertical large oban (大判) format made in 1901 by the artist Kubota Beisen (久保田米僊) in collaboration with the publisher Akiyama Buemon (秋山武右衛門) and depicting a Japanese lobster iseebi (伊勢海老) and a yuzu (柚子), a hybrid between mandarin and papeda. 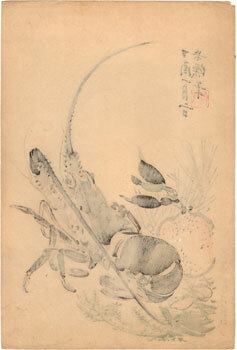 Kubota Beisen (1852 - 1906), born in Kyoto, has dedicated himself to painting from an early age. A cultured and refined illustrator, he founded a pictorial school in collaboration with the famous Kono Bairei (幸野楳嶺) and is characterized by a very simple but extremely attractive style. In life he had a good reputation that earned him the honor of decorating some of the imperial palace environments. 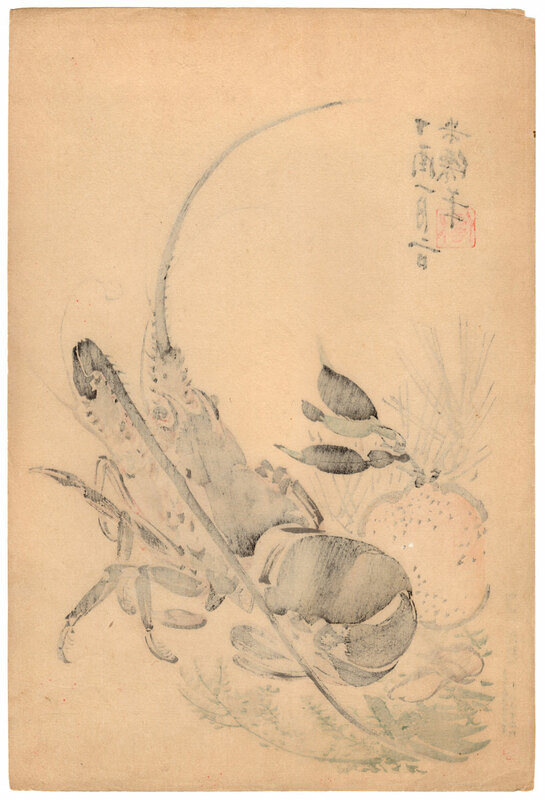 The work presents a general aging of Japanese washi paper (和紙) as well as some imperfections on the edges and yet maintains intact its extraordinary visual impact.